Frejus was founded in 1896 in Torino, Italy by Emmo Ghelfi. He named his brand after the nearby Monte Frejus (on the border of Italy and France) and was one of the first bike manufacturers in Italy (alongside with Bianchi). Emmo and his brother designed and hand-built every frame Frejus produced, focusing on sleek lines, simple lug-work and balanced handling. The Frejus was sposnsoring also their own team called FREJUS which existed from 1935-1956. Their team immediately achieve a success when the great Gino Bartali won 1935 Giro d’Italia on a Frejus bike. Later Giovanni Valetti won the 2 editions of the Giro d’Italia (1938 and 1939). 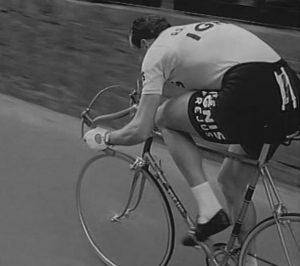 Many successes follow,ed: 6 world championship titles, Ferdie Kubler’s win of the Tour de France in 1950. Ercole Baldini (born 26 January 1933) is a retired Italian cyclist. As an amateur he won an Olympic gold medal in the road race and the world title in the individual pursuit on track, both in 1956. 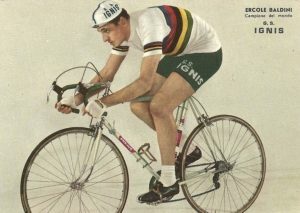 Next year he turned professional, and in 1958 won the World Championships and the Giro d’Italia. In 1959 he was riding IGNIS-Frejus Team and the entire team were using Frejus racing bikes, very similar to the one we are presenting here. 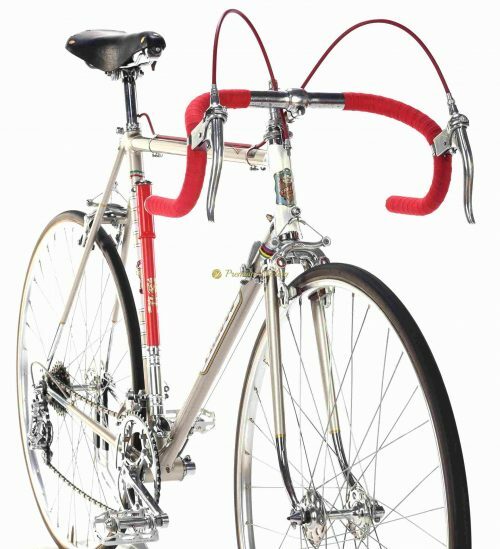 Happy to present another legendary Italian steel racing bike – FREJUS Professional, which dates back to late 1950s. The frame is made of very light Reynolds 531 tubing and shines in beautiful champagne gold paintjob. 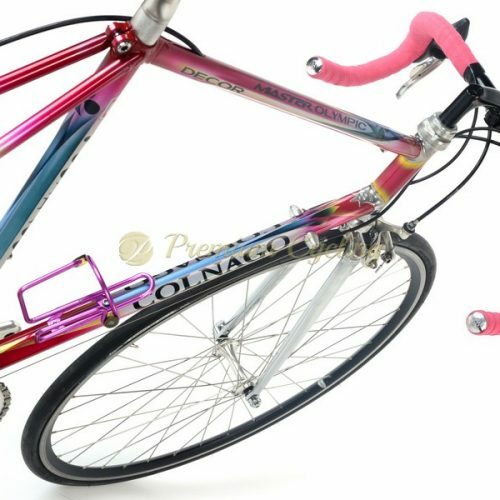 Easy to recognize typical Frejus details like lugs, fork crown, seatstay, seat clamp and non typical braze-on lubricators for headset and bottom bracket. It’s built with Campagnolo Gran Sport gearing, Balilla brakes, Frejus headset, BROOKS saddle, Ambrosio rims and Silca pump. Beautiful steel racing bike ready to participate at L’Eroica. Nice catch for any vintage bike collector. Condition: The frame was re-chromed and refubrished by professional guy. The frame has no cracks, no dents, not bent. All parts are working fine.